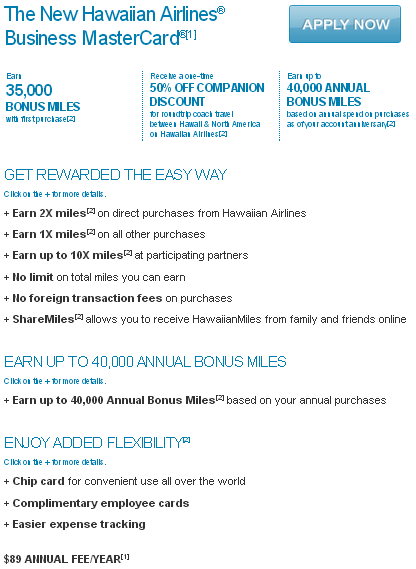 There are two new Barclays Hawaiian Airline cards: Personal and Business. Please click on the screenshots above to see the terms and conditions. Ever since Hawaiian Airlines severed their relationships with the Bank of America (the other Bank of Hawaii card was also managed by BoA), they’ve promised a new and better product. 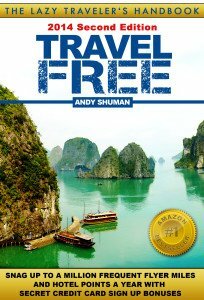 Today this product was delivered by Barclays, the bank that seems to be Chase-envy, as it carries a lot of travel-related credit cards, although most are inferior for our goals and purposes. The arrival of new credit cards with a good sign up bonus is always a welcome event. But I have to admit I’m slightly disappointed. I was expecting more fanfares in terms of a better and bigger sign up bonus or some other perks. Instead the terms of these cards are almost identical to the previous ones with one downfall: the annual rate has actually gone up $10, from $79 to $89. But you’ve got a free checked bag and 50% off your companion fare. Even with the annual fee, it’s a great card. 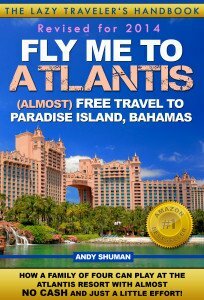 35,000 points can take you all the way from NYC to Hawaii, although you’d have to work hard in order to get your flight at that rate. 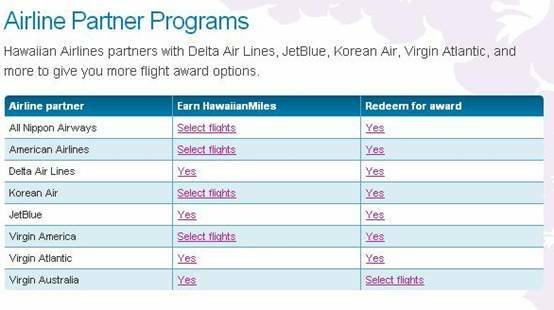 Hawaiian also has quite a few partners and their redemption rates are not half bad either. 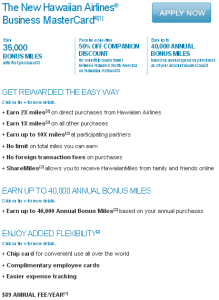 Or you could do what I do sometimes and treat a Hawaiian credit card as another Hilton card with decent enough sign up bonus. 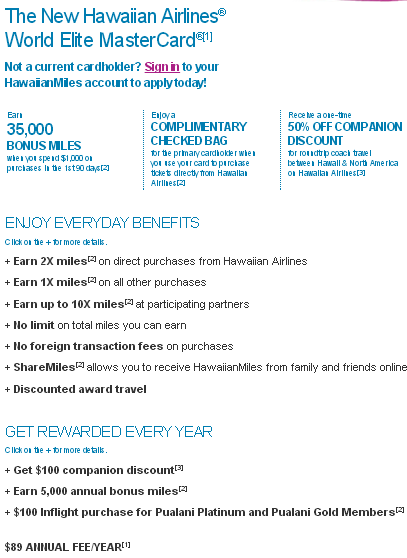 You can transfer your Hawaiian miles into Hilton HHonors points at 1:2 ratio. 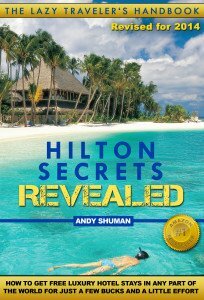 Getting 70,000 Hilton points for $89 is not shabby at all. 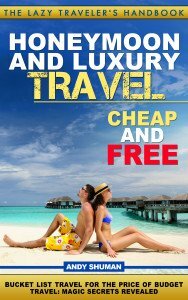 They may be converted into one night at Bora Bora or 14 nights at a category 1 hotel. 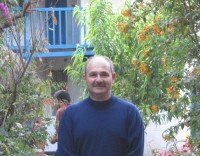 At least consider that with a business card, because they won’t allow you to combine the accounts, and business chart has worse redemption rates. 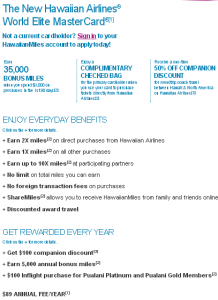 Keep in mind that if you already have an old personal Hawaiian card, it doesn’t seem they will extend you this offer again. Log on to your Hawaiian account first and see if your application is opening. That wasn’t the case with a business card in my experience, though.